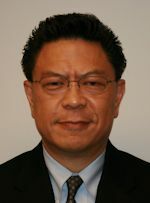 Mr. Alexander (“Alex”) Shen joined Ranor in June of 2014 as President. Mr. Shen has 31 years of demonstrated success in a broad range of industries including metal fabrication, automotive, contract manufacturing, safety and security, and industrial distribution. Previously, he was CEO of Ryerson Mexico & Vice President – International for Ryerson, Inc. Prior to joining Ryerson, Mr. Shen was Division General Manager & COO at Sumitomo Electric Group, and previously served 10 years with Alcoa’s Automotive Division in roles of increasing responsibility. Mr. Shen began his early career with General Motors, moving to Chrysler before joining Alcoa. His career includes multiple international management roles in Japan, China, Mexico, and Europe, and he is fluent in the Chinese and Japanese languages and cultures. Mr. Shen holds a B.S. in Engineering from Michigan State University.